In Acts 17, the apostle Paul does something remarkable. He walks onstage at Mars Hill in Athens, the center of the philosophical tradition of the Greek world, and begins to talk about an unknown god. Unlike almost every other sermon in Acts, this one does not begin with the story of Israel, or a recitation of scripture. Instead, it begins with an account of Paul’s walk through the city, and all of the idols he had seen there. Seeing all of these idols had cut to the core of Paul’s Jewish monotheistic heart. But he doesn’t chastise the crowd. Instead, he points out something he had noticed on his walk, an altar built to “an unknown god”. For the Athenians, this altar was a sort of insurance. They worshipped hundreds of gods, and prided themselves on having their bases covered. So if there was a god that had slipped their notice — they wanted to make sure they covered that too. So this is where Paul starts. He talks about the god they can only worship in ignorance, but which he can now help to reveal. And he proceeds to explain this god, and all of its characteristics and nature — using only quotations from their own philosophers. 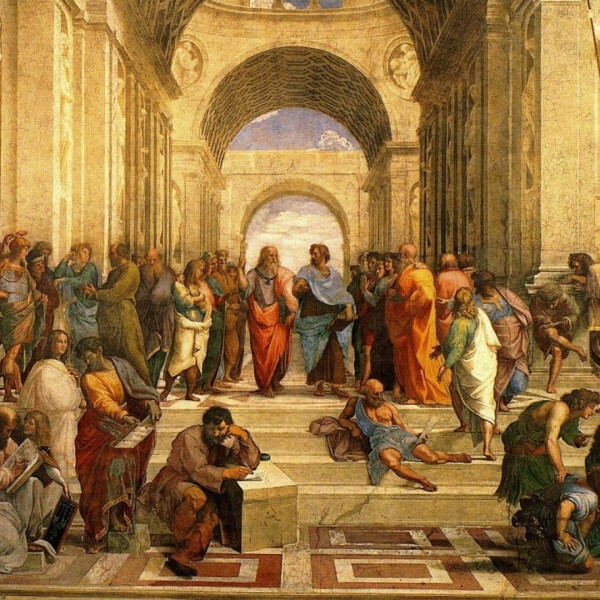 For Paul, these pagan philosophers were not just accidentally correct. They had, even in their ignorance of the Jewish tradition, nevertheless correctly understood the nature of God. And this must mean that God had revealed himself to them—perhaps in subtle or even hidden ways, but nevertheless truly and authentically. This remarkable attitude is characteristic of the early Christians and their unique belief that Christianity was universally applicable, that it had infinite reach, and that therefore, all truth was God’s truth. For them, Christ had fulfilled the partial and incomplete revelations of generations past, and as the one Messiah of the universal God, this wasn’t necessarily limited to the revelations the Jews had received. Paul puts words around this in Romans 1, talking about how all of humanity has intuited the nature of God. Theologians call this concept “general revelation”, and it was an attitude that drove early Christian missions for hundreds of years. Sometimes Christians discover the aftermath of these missions, and become concerned. For example, people periodically realize that Christmas trees are of pagan origin, and start to campaign against them. But the pagan origin of Christmas trees is no secret conspiracy. Rather, it represents an early missionary attempt to take the goodness and truth in local pagan practices, and interpret them in the context of Christ and his mission. Modern Christian practice is scattered through with relics from these kinds of past encounters with paganism. And what all of these encounters have in common is that they were resolved not by Christians stamping out local culture and practice, but by Christians recognizing the value and truth within them, and ultimately adopting them as their own. This is the approach Paul models for us in Acts 17. Not watering down the truth, not diluting Christian ideas and teachings, but finding and drawing out all the truth God has scattered throughout the world. Where there are resonances with things we already believe, we illuminate them, where there are new things to be known, we embrace them. And in all of this, we claim the good, and leave behind the bad — recognizing that even in the darkest of places, God has not left himself without a light. Today, we have a similar opportunity within the world of transhumanism. Transhumanism is usually understood to be a radically secular movement, advocating for controversial and problematic things. But dig very far into the history and characteristics of transhumanism, and we discover a secular effort largely driven by the visions of Christianity, and by the disappointment in Christianity’s failure to live up to them. Where Jesus proclaimed heal the sick, feed the hungry, raise the dead, Christians have sometimes been more content to follow the path of the Levite priest in the story of the Good Samaritan — and move to the other side of the road. Where Jesus taught his followers to pray your kingdom come, on earth as it is in heaven, Christians have sometimes been more content to counsel abandoning interest in the earth altogether. Where the New Testament talks about Jesus as the beginning of a new humanity—no longer defined by nation, temple, or social class—Christians have sometimes been more content to argue in favor of the old humanity. In contrast, transhumanists are often fueled (whether they are aware of it or not) by the echoes of ancient Christian visions of transcendence and transformation. Even the word “transhuman” itself appears to be of Christian origin, the result of generations of Christians struggling to express the Christian view of mankind. What all of this means is that the modern transhumanist movement represents a Mars Hill opportunity. An opportunity to recognize truth in every place that God has deposited it, an opportunity to reconnect many of these secular aspirations with their true fullness and depth, and—perhaps most importantly—an opportunity to challenge ourselves to rediscover the full nature of what we believe and profess. I believe a form of Greek was Paul's native language. But if he didn't speak Greek, he would have had to learn it before preaching in Athens, or find an interpreter. It's always important to frame a message in a way that is native to the audience. Transhumanists should also try to speak the language of believers.